You probably know that Forest Garden do loads of garden buildings and things that I haven’t mentioned on these pages, mainly because in describing them all I’d run out of words. In fact I haven’t mentioned loads of sheds, stores, arbours, gazebos, arches, planters and log cabins – well I’ve got some gardening to do ! Anyway all I’m going on about, at great length as usual, is that we can help you with anything you fancy from Forest Garden, and at the lowest possible cost I reckon. Simply, although I’ve admitted I’m so lazy in not giving you details of all of Forest Garden’s range, we certainly can give you the best, and lowest cost, service ! 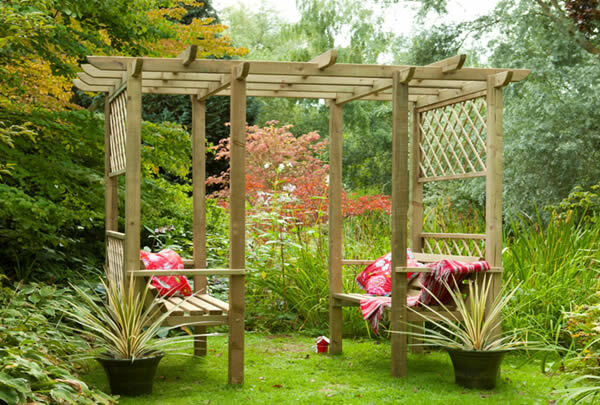 For example this Verona ‘Walkthrough’ Arbour, I’ve just so rudely ignored it ! 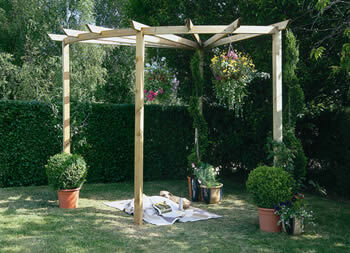 And this elegant Radial Pergola, totally overlooked ! 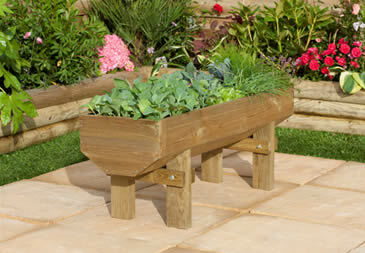 And what excuse do I have for not mentioning this lovely garden trough ? 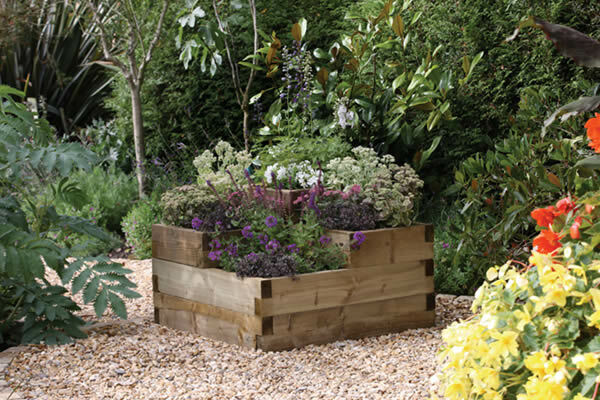 And I’m sorry again, but I just can’t think what made me miss this quite lovely ‘Caledonian’ planter.